A lot of the time you will read about my blog posts from my travels outside of the UK(apart from my climbing trips off course, mainly in UK). Well that will all hopefully change as I will try and show you a little bit of where I live, the popular holiday and settling destination that is the UK. 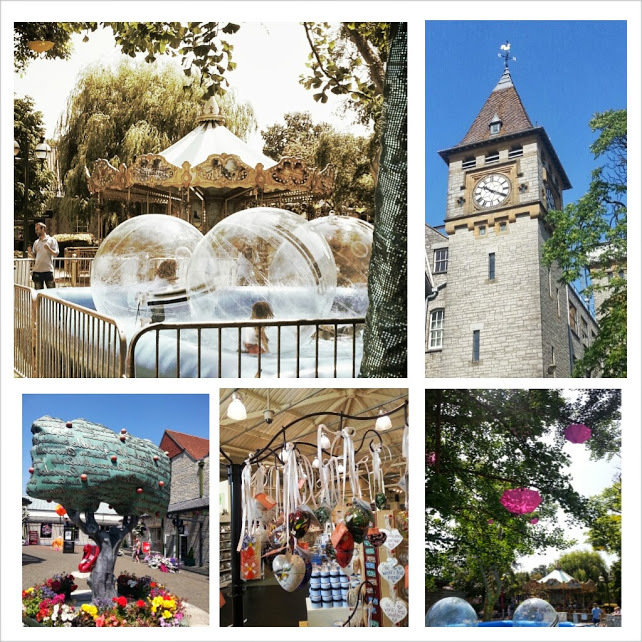 The past weekend I had an ambitious goal of covering Yeovil, Cheddar Gorge, Bath and Bristol! Art, Spas, Climbing, Hiking and Music, all in one weekend! I have always been fascinated by architecture(still am) and at some point I considered studying for the profession until I stumbled onto the love of computer programming. I came across Clifton Bridge a couple of years ago and I have since wanted to see it. For some reason months turned into years and here we are now. My bf is currently working in Somerset at the moment so he came up with the idea of showing me around Somerset over the weekend. We took that idea and ran with it! Seeing as Bath and Bristol are only an hour away we decided on meeting one of my university friends for a little exploration of Bristol. Living London on Friday evening after work and turning down free drinks and food at a company event, I set off on a two hour train ride to Yeovil. Saturday we started off on the town of Street(yep that is the name of the town) with a tour of the Clarks Village on the High Street of Street. An outlets shopping area with shops the likes of Calvin Klein, Fiorelli, Jaeger, Apsen, Coast M&S, Clarks and more. I also discovered where the little apple tree below is as I had come across the image a while back and assumed it was from a faraway land. After some retail therapy and enjoying the sun shine while sipping on Costa’s raspberry ice teas it was time to head to the gorge! The drive from Street to Cheddar Gorge was about 45 minutes but as we had been too relaxed and in no real rush we lost track of time and the caves in Cheddar Gorge were closed when we arrived just after 5pm. Cheddar Gorge is considered to be Britain’s largest gorge. Still high on the summer sun we have surprisingly been graced with this July, we set off to explore the area. Somerset has some of the most stunning views with winding little country roads stretching all the way to Cheddar Gorge. Lying in the southern Mendip Hills of Somerset it features two caves that have become popular with tourists. The two public caves; Cox’s Cave and Gough’s cave with beautiful stalactite caverns where the Cheddar Man, Britain’s oldest skeleton was found. With no caves to see(after turning up at closing time) we took up a little bouldering instead. A real shame that I didn’t get to see the caves or gorge on cheddar but our tickets are valid for a year so I will be returning there for the caves. I will try and return in the next 4 weeks to check that out as well as Glastonbury Tor that’s nearby, not to mention, I did discover a lot of sport climbing routes there when we went for a hike. A return trip to try out the routes is a definite must with proper climbing gear. The place has some beautiful surroundings. For the perfect view of the gorge you can climb the 273 steps on Jabcobs ladder which leads to a Lookout Tower and the Cliff Top Gorge walk for stunning views of the Mendips and Somerset countryside. I love learning about the landscapes, and the history attached to the areas and on a day that was bright and breezy with high clouds, the perfect set up for some hiking. 274 Steps to great views of the gorge. After a long week at work and hiking around Cheddar Gorge for a couple of hours it was time for some proper R&R. Sunday we planned to bathe in Bath! The home of Roman Baths. We booked into the Therme Bath Spa. Bath is only about 1 hour from Street. We parked the car in Gay Street, fitting, considering we were in the gayest of moods(in the old sense of the word obviously). This was also conveniently within meters of the Royal Crescent, one of the worlds famous landmark. Built between 1767 and 1775, a crescent with 30 houses one which has now been turned into a hotel and one publicly accessible. The “Royal” part was added after Prince Frederick, Duke of York and Albany had stayed there. We walked to the spa and made it within minutes of my facial appointment. My bf went off to lounge in one of the two pools that the spa has. My face was cleansed, toned, oiled, stroked repeatedly and massaged before being moisturised. The whole facial was about 50 minutes but towards the end when I felt the beautician coming to a stop that little voice in me was screaming ‘please please please don’t let it be the end’ and before I could say please one more time the sound of a gentle bell went to which she said I will now give you a few minutes to get up and put on your robe. *insert sad face here* My skin felt softer and clearer though. Having finished my treatment I was ushered to the relaxation room where energizing herbal teas awaited. From there I moved on to the cafe over looking The Cross Baths(another open-air thermal bath) while sipping on yet more herbal teas but this time with the added sweetness of English tea cakes! Catching up with the bf and comparing notes on our treatments, where he had an hour body massage it was time to dive deep. First starting with the basement Minerva pool then heading for the Steam room pods before cooling off on the roof top pool with view of Bath’s Gothic cathedrals. Blissfully happy and leisurely walking out of the Spa at 2pm having gone in at 9 in the morning. 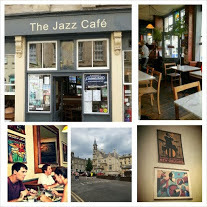 We stopped by the Jazz Cafe to continue the theme of rest and relaxation. This place serves a beautiful Seasonal Mezze whilst your senses are tickled and soothed to the sounds of the like of Miles David and more smooth Jazz tunes. Apparently they also do live shows but we were only in Bath a few hours so it was time to move on with the show. As this post was starting to get really long, I have decided on cutting this blog update into two. I will post details of Bristol in a few days so I can get a chance to get all the images from the trip together. My first encounter with Gromit in Cheddar Gorge. So have you ever had an ambitious weekend to cover a mammoth of items? How far on your list did you get? Bath Spa, Royal Crescent, Roman Baths in Bath.